Credit card rewards: Who offers outstanding value? 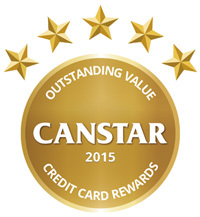 Canstar releases Credit Card Rewards Star Ratings, reporting on 45 credit cards from 10 financial institutions. Forget a low interest rate or a modest annual fee; the credit card feature that is most-commonly sought by Kiwis is a rewards program*. “We spend around 3 billion per month on our credit cards so it does make sense that around forty percent of us are specifically looking for a credit card that has a rewards program,” said Canstar General Manager – New Zealand, Jose George. Source: Canstar. Based on products assessed for 2016 Credit Card Rewards Star Ratings. Represents the average of the 5 star rated products assessed. “The more you spend on your credit card, the higher the average dollar value of reward you can receive. So if you spend a lot of money on credit each year you may get value from having a platinum card with a higher earn rate and no cap on the number of points that you can earn,” said Mr George. According to Canstar’s analysis there is a significant difference between the earn rate on a five star-rated product and a lesser-rated product. “Based on the products we assessed, someone spending $60,000 per year on a rewards credit card could potentially earn as much as $920 in flight rewards or as little as $170,” said Mr George. “For general rewards, they could potentially earn as much as $915 and as little as $250 on the same dollar value of spending. Canstar has assessed 45 rewards credit cards from 10 financial institutions and rated them against four levels of spending to determine which ones offer outstanding value for money. Source: Canstar. Based on products assessed for 2016 Credit Card Rewards Star Ratings. “There is a huge difference between products on offer and we congratulate the institutions that are offering outstanding value to New Zealand consumers,” said Mr George. * Statistics based on analysis of more than 2,000 visitors to the Canstar credit card selector pages between 1 Jan – 30 April 2016.